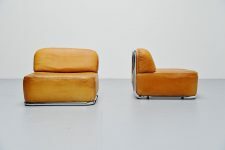 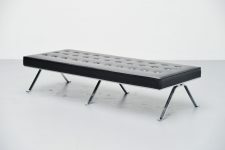 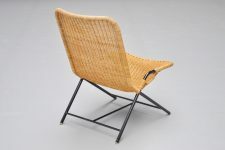 Very nice and spectacular shaped lounge chair designed by Gebr Jonkers for Dirk van Sliedrecht, Holland 1952. 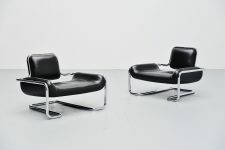 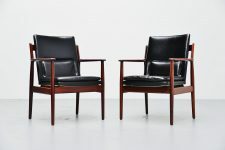 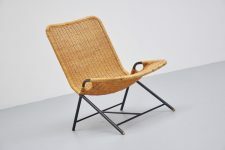 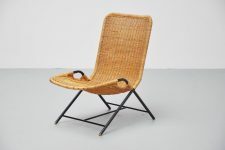 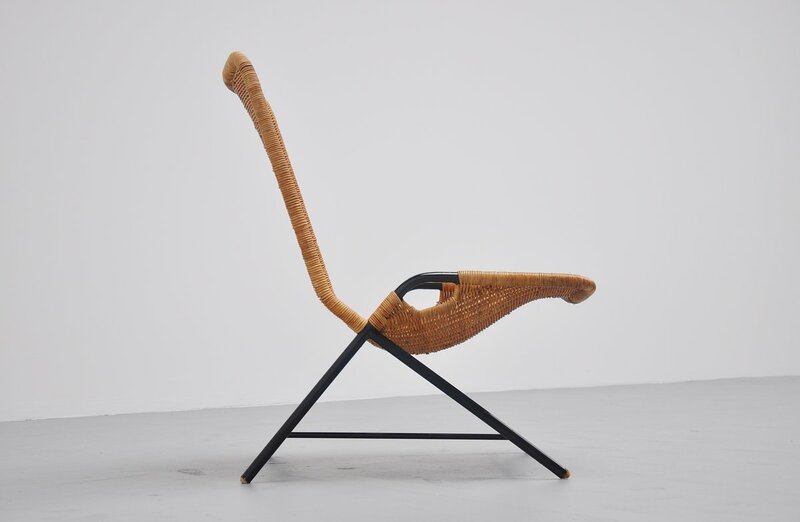 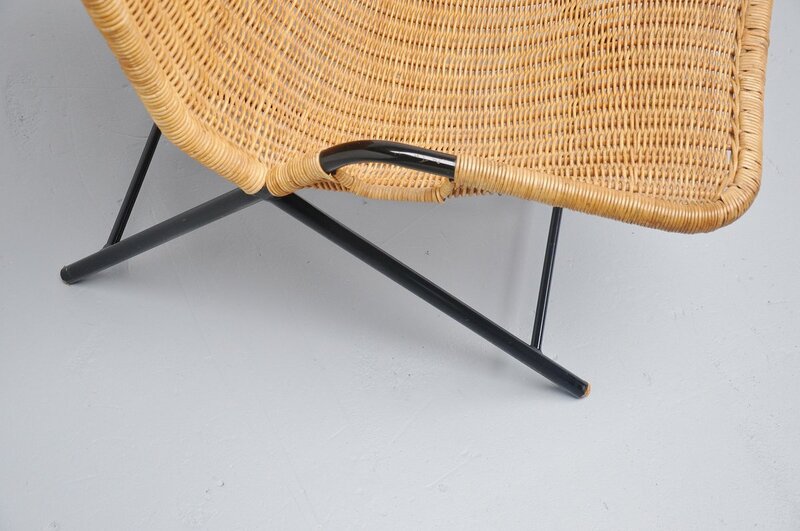 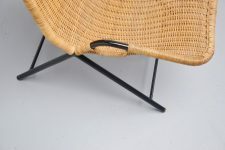 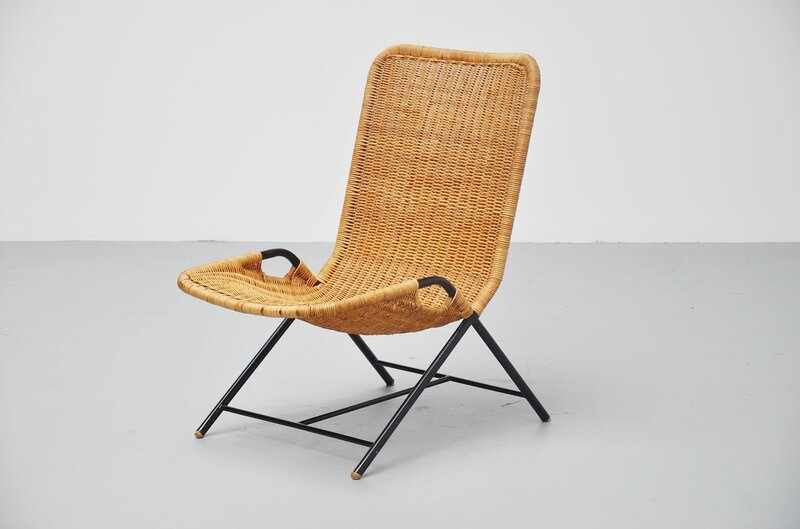 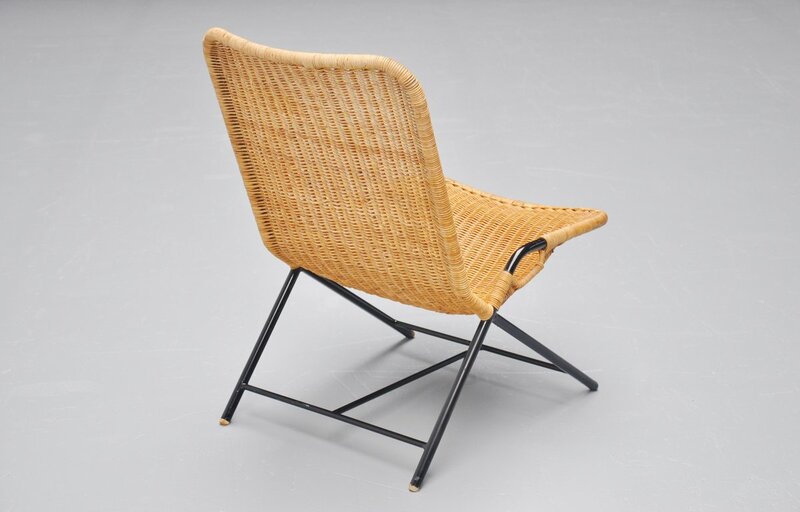 This important modernist lounge chair has a black lacquered tubular frame and a very nice woven can seat. 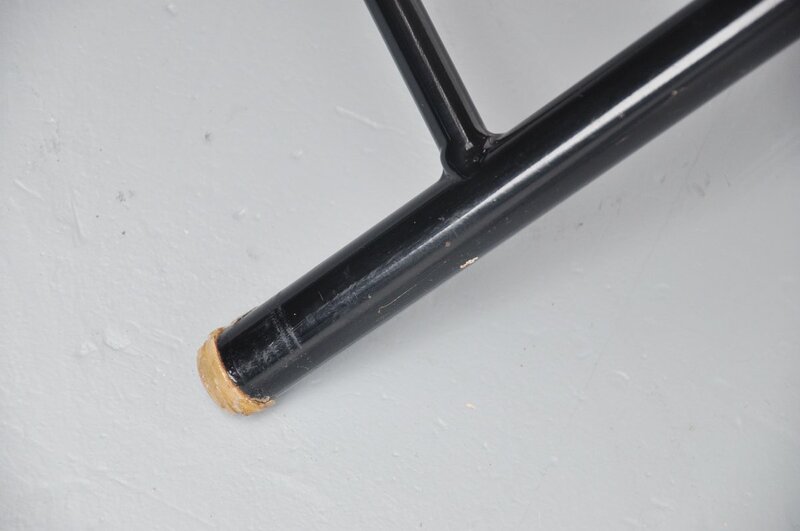 Some nice details are the handles on the sides and the wooden finished feet. 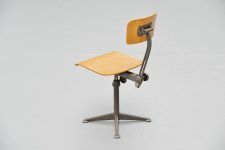 The chair is documented in the Sliedrecht catalogue and on the front of the new released book from the Sliedrecht collection, edited by Bonas books. 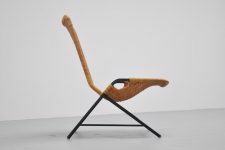 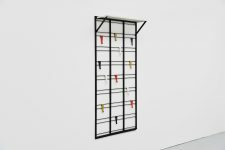 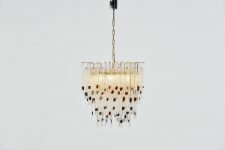 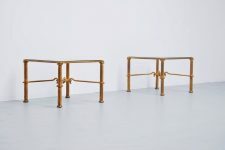 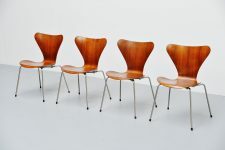 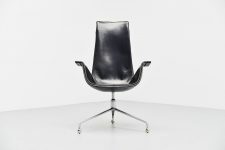 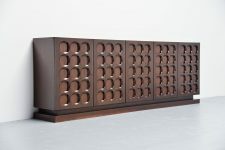 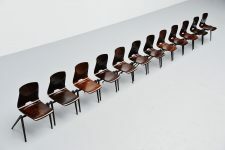 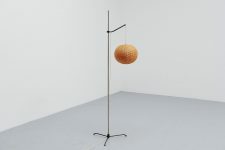 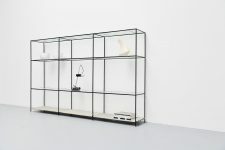 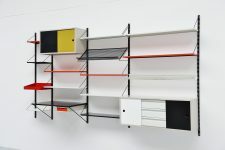 The chair is also in the collection of the national Vlechtmuseum Noordwolde.